Childhood obesity is spreading like wildfire across the United States. In the last 30 years, it has more than doubled in children and quadrupled in adolescents. In order to respond to the growing population of sick youth, companies are coming up with computer programs, interactive apps, and even health trackers. A collection of some of the newest innovations are concisely listed in an infographic created by Pulp-PR, a California-based marketing and public relations company that works within a pediatric niche and favors the promotion of children’s physical, mental, and emotion growth. “It was created to help spread the word about childhood obesity by offering useful technology solutions,” Pulp-PR’s assistant account executive Zach Taiji told Medical Daily. The infographic “Healthy Tech for Kids” is based on five clients the company chose to feature in order to give children and parents alike a way to quickly and clearly compare and contrast different tools. With over one-third of today’s children under the age of 19 weighing in as either overweight or obese, there are many searching for solutions and answers to the epidemic through trial and error. “We wanted to put together five top tools to help keep children healthy and spread the word,” Taiji said, who also added they often work with startups geared toward children and children’s health. Information was compiled from the Centers for Disease Control and Prevention, the World Health Organization, and Duke University’s Global Health Institute, in order to explain the severity of the childhood obesity crisis, which is connected to depression, low self-esteem, asthma, cardiovascular disease, and diabetes. One of the newest tech toys is LeapBand’s “Kid’s Wearables,” which will be debuted this August as the first health tracker for children with 50 activities and challenges programmed. It will prove useful for the students who attend the one out of five elementary schools that have done away with recess. Education is key to progress and action, which is why TinyBop’s new anatomy app was created to teach children the different functions of the human body, and it's listed as the first in a series of tools. Another educational tool designed in an effort to stimulate healthier habits is the “Smash Your Food” app. It's already available for iPads, iPhone, and iPads. It engages children by challenging them to smash real food like burgers, donuts, and meals in order to learn about the salt, sugar, oil and other nutritional contents of everyday foods. 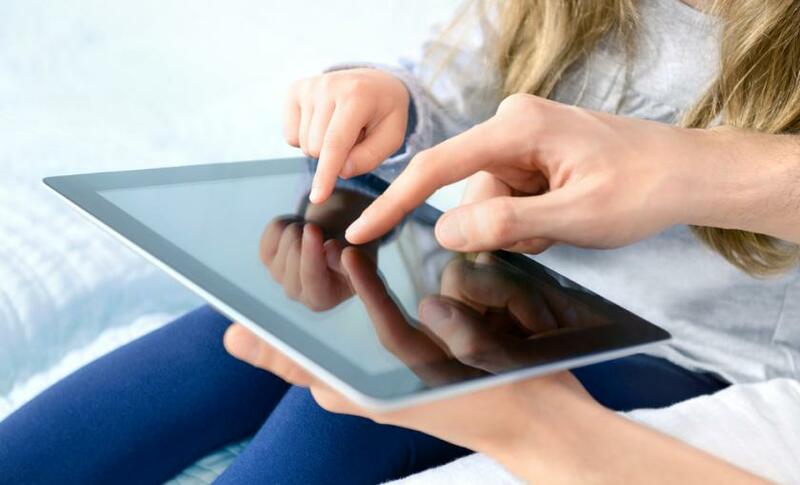 Using apps to teach children wisely takes advantage of the child’s inclination to play games on their parent’s phones and tablets. “Super Stretch Yoga” is another app for young iPad users to introduce them to yoga at a young age and inspire healthier routines into their everyday life. A compilation of on-demand fitness videos have also been structured for children. Adventure to Fitness is supported by teachers, parents, and medical experts and provides the young viewers and their parents with learning materials, tips from doctors, and activities that encourage physical exertion. The United States is at a time when action must be taken to combat the rising numbers of childhood obesity, which is defined by Mayo Clinic as a serious medical condition that costs thousands of extra financial resources per child, not to mention it also dramatically increases the risk of becoming obese adults, which adds on several more life-threatening risks. What’s worse is just this week a new study has found that the body-mass index (BMI) measurement used to categorize the normal weight people from the overweight and obese may not be working as well as we hoped. The findings, which were published in the journal of Pediatric Obesity on Tuesday, reviewed 37 studies and found 25 percent of children 4 to 18 years old may be unaccounted for because of the shortcomings of the measurement. "BMI is not capturing everybody who needs to be labeled as obese," Francisco Lopez-Jimenez, director of preventive cardiology at the Mayo Clinic in Rochester, Minn., who headed the study with Asma Javed, a pediatric endocrinology fellow, told The Wall Street Journal. "It doesn't mean that we cannot use BMI in childhood but it requires extra caution," she said. BMI is a quick and easy way to screen for obesity, which calculates numbers with person’s height and weight to distinguish health and unhealthy ranges from one another. However, when it comes to children, height and weight isn’t always proportional as they grow and could lead to a surprisingly large amount of overweight and obese adults. Out of the 25 percent of children that have gone unnoticed more could emerge from the data as unhealthy, overweight or obese adults. New technologies and teaching tools, such as the ones listed in the infographic, are of quintessential importance to improve the diet and exercise habits of, not only children, but their entire family, according to Mayo Clinic. Lifestyle remedies such as being a role model of health and physical activities, or emphasizing activity and not exercise, can be easily mastered with Pulp-PR’s top five healthy technology tools. According to Taiji, they create bi-monthly infographics to help communicate their various client’s newest technologies and tools. However, they’re not always about health. The next one they plan to produce will showcase the evolution of storytelling for children.